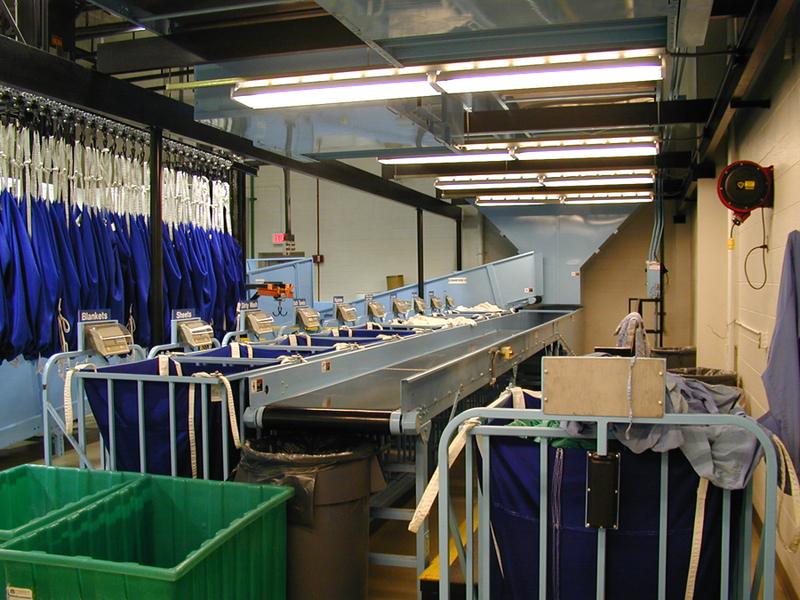 Gardner Electronic Weigh Carts provide an accurate readout of weight accumulation of laundry or other textile items. 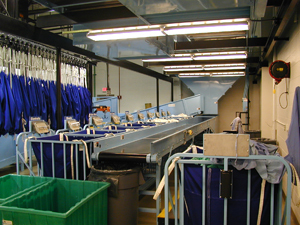 Each piece placed in the basket sling is weighed automatically. 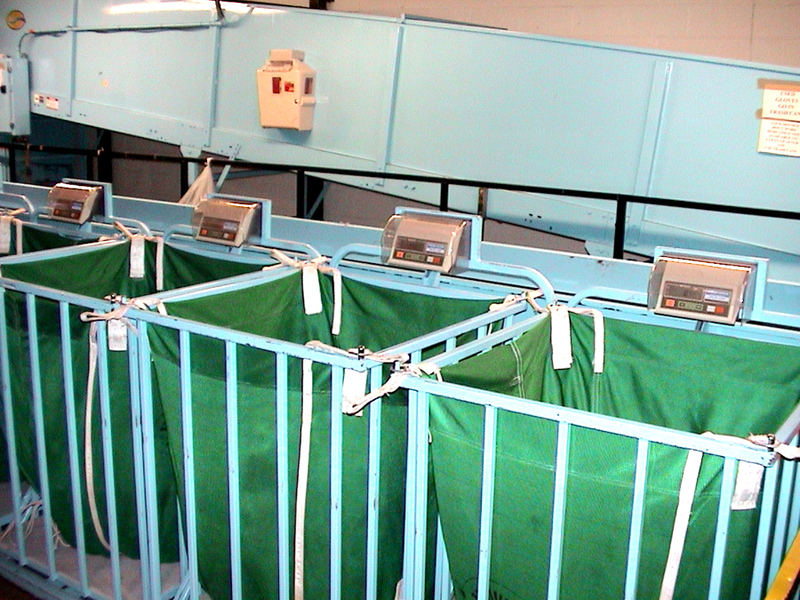 A continuous display indicates total weight as it increases. A special ”tare” feature provides net contents weight. Powered by six “C” batteries, the cart features an easy-to-read LCD with large 11/16” high letters and adjustable viewing angle. The readout changes between decimal pounds and kilograms by pressing a key. RFI shielding maintains reliability in areas of high interference. The system uses single point, industrial grade load cell technology. Calibration settings can be adjusted for variations in gravity for different locations. Settings may be sealed in the display pad to prevent tampering and maintain accuracy. Accuracy is ±0.2% of applied total. 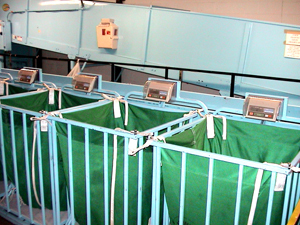 The Gardner Electronic Weigh Cart is ruggedly constructed of tubular steel to withstand abuse. Four 4” wide swivel track castors, each capable of supporting 450 pounds, provide ease of movement. 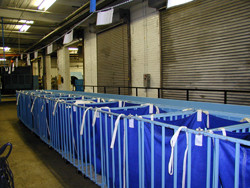 Gardner Sling Carts are constructed of tubular steel, and are designed the same as the Gardner Electronic Weigh Carts except that they are not equipped with weigh mechanisms. 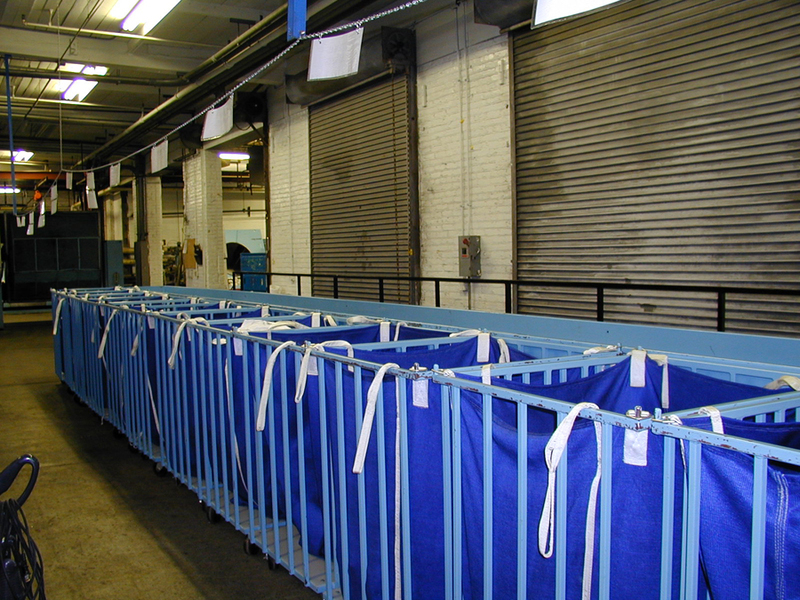 The Gardner Sling Carts are ruggedly constructed of tubular steel to withstand abuse. Four 4” wide swivel track castors, each capable of supporting 450 pounds, provide ease of movement.